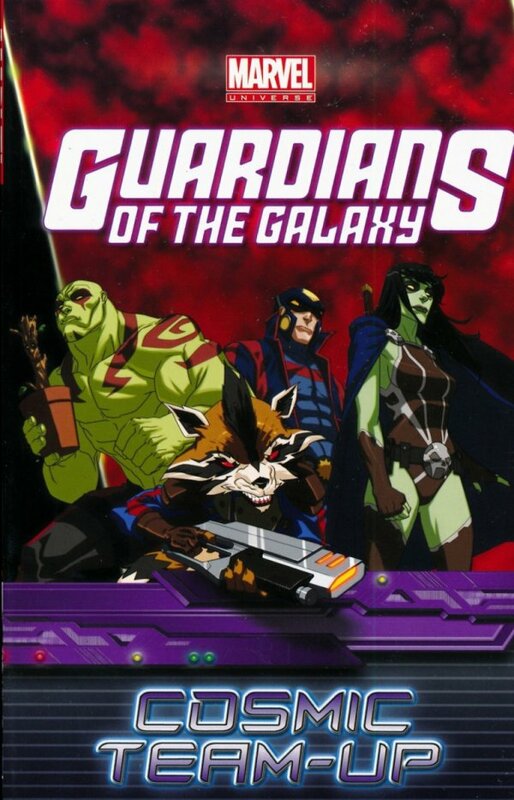 The Guardians of the Galaxy, the Avengers of outer space, blast out of DisneyXD's hit animated series and into your hands! • When Michael Korvac escapes his alien abductors, he flees home to Earth and seeks the Avengers' protection. For Earth's Mightiest Heroes, defending Korvac will mean battling the Guardians of the Galaxy - but why? • The Korvac confusion continues as Spider-Man gets involved, traveling into deep space with the Guardians to take on Korvac...and the alien Chitauri! • Hulk and his agents of S.M.A.S.H. encounter the cosmic Collector on a simulated paradise world...but can they ever escape it? • Relive Rocket Raccoon's classic comic-book debut, as the feisty, furry film star matches wits with the Hulk! Collecting MARVEL UNIVERSE AVENGERS: EARTH'S MIGHTIEST HEROES #18, MARVEL UNIVERSE ULTIMATE SPIDER-MAN #22, MARVEL UNIVERSE HULK: AGENTS OF S.M.A.S.H. #4, and INCREDIBLE HULK (1968) #271.